Length: 2 hrs. 49 min. Life is fragile. But hope in Christ lasts forever. We tend to go about our day to day routines imagining this earthly existence of ours will just go on and on. But it won’t. Our stay on earth is really very brief. And when a loved one unexpectedly steps out of this life into eternity, it shakes us to the core. We ask ourselves: Is heaven real? Will I see him–will I see her–again? Will we be together again? How can I know for sure? 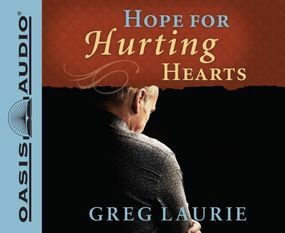 In this audio, Pastor Greg Laurie shares candidly about his own heartbreak over the sudden departure of his son Christopher to heaven and offers comfort to bruised hearts and a hope that will sustain us through this life and beyond.